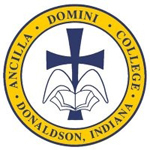 [Stevens Strategy] completed an analysis and assessment of the financial operations at Ancilla College. Dr. Townsley helped us clean up our budget reports, develop cash flow analyses and conclude we needed to increase our enrollment. Mike has an understanding and empathy for small colleges and their success and a great grasp of small college finance. He truly knows his stuff!